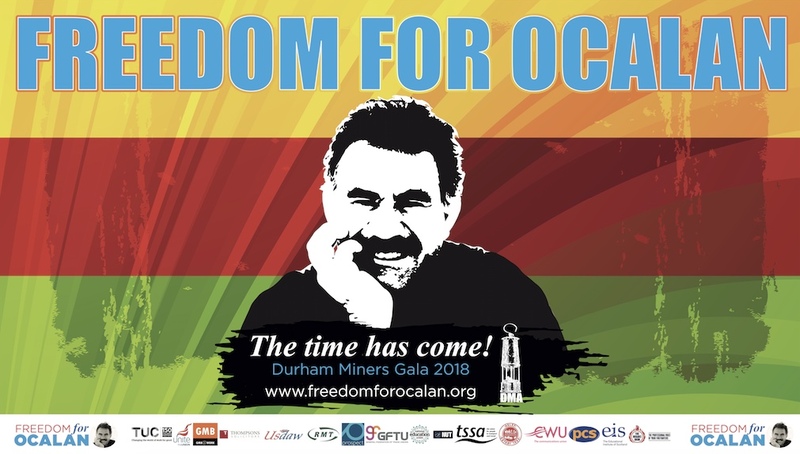 We received this statement yesterday from the Freedom for Ocalan Committee, which has initiated a 5 day hunger strike for Abdullah Ocalan and to call once again for his release from prison in Imrali island. 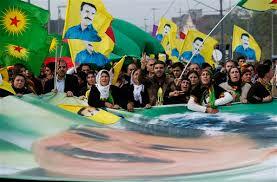 The campaign for freedom for the recognised leader of the Kurdish movement continues. We, the members of Freedom for Abdullah Öcalan Committee and representatives of Kurdish institutions in Europe have started a five-day hunger strike (28 September -2 October 2015) to demand the freedom for Kurdish people’s leader Abdullah Öcalan. The hunger strike action is a symbolic appeal as part of the “Freedom for Öcalan” campaign, and calls on the Kurdish people living in Europe, their political friends, allies from Turkey and all those waging a common struggle against fascism under the democracy and freedom bloc to stand by the participants of the action for Öcalan’s freedom. Through the democratic actions we have held in previous years, we demonstrated our demand for the freedom of Abdulah Öcalan to all the responsible institutions including the Council of Europe, European Parliament and the CPT. However, the concerned European institutions did not take the required action or fulfil their responsibilities. Public opinion and especially the Council of Europe are well aware that Mr. Öcalan has been making tremendous efforts since the 1990s in order to make peace with the Turkish state and pursue his struggle on the basis of democratic politics. Mr. Abdullah Öcalan who has now been kept in an isolation cell on Imrali Island for 17 years, must be freed at this stage. We believe Abdullah Öcalan’s freedom is the guarantee of peace, resolution and co-existence of Turkey’s peoples and the Kurds, and will even have a positive influence on the co-existence of Arabs, Persians and the Kurds and the establishment of peace in the Middle East. The Kurdish question in Turkey entered a new phase with the publication of Abdullah Öcalan’s Newroz letter on March 21, 2013, 2014 and 2015, calling for negotiations for peace and democracy. Following these statements an almost three-year negotiation process took place. However, when it became clear that the peace process would produce concrete results, the Turkish President Erdogan reversed his position and actively endeavoured to stop the ongoing peace negotiations by isolating Öcalan in prison. More recently, this isolation has been escalated to include preventing access to his family and his negotiation team as of 5th April 2015. 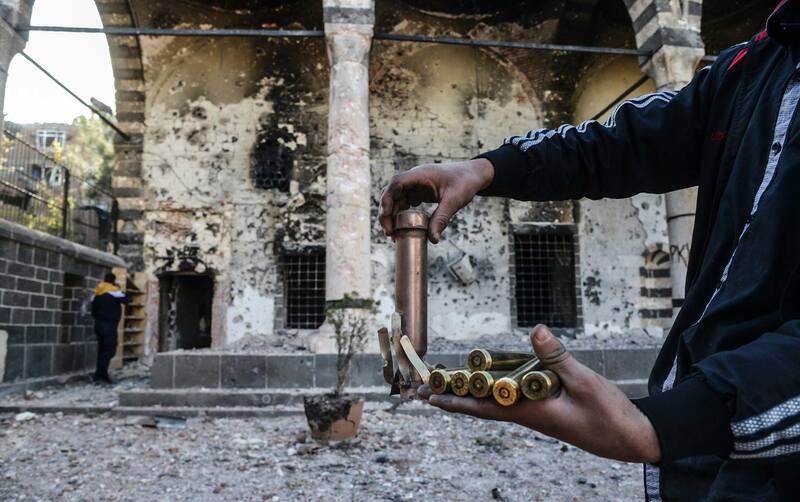 The AKP government demonstrates a refusal to address the Kurdish question in the country and prefers to continue the policy of deliberate annihilation which it is implementing by military and judicial means against the Kurdish people. Finally, with Erdogan’s ending of the Kurdish-Turkish peace process on 24th July 2015 a new total war against the Kurds has been under way. Since this date, Kurdish mountains, villages and communities have been facing daily attacks and bombardment. This relaunch of the war against the Kurds comes in a period where the PKK is fighting and defeating ISIS and where there is an ongoing historic resistance of the Kurds in Syria against ISIS – with all their efforts to push for greater democratisation of society, gender liberation and ecological protection. This consequently means that all the attacks against the Kurds are impeding the fight against ISIS and gives ISIS the opportunity and morale boost to target western values and civilians. The only way to secure the region and the whole world is to stand against the disastrous policies of Turkey. Mr Ocalan is a key actor for stability, the fight against ISIS and a peaceful solution both in Turkey and Syria. 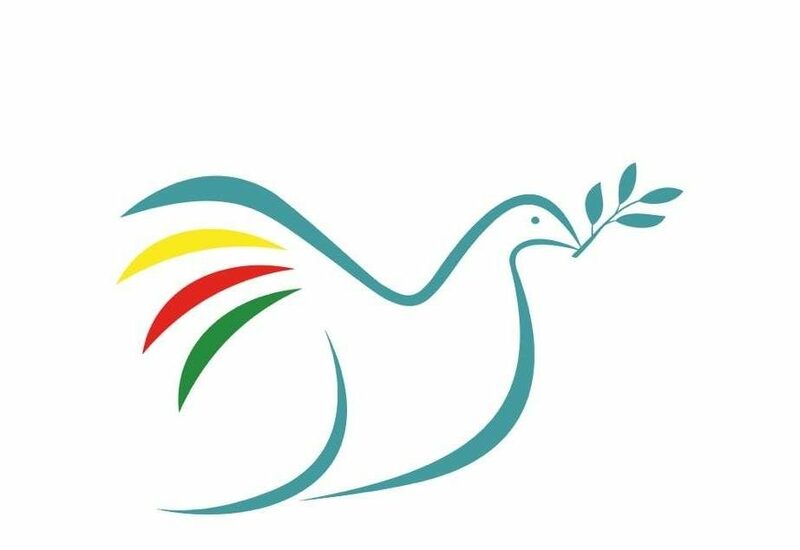 Restarting the negotiations, and take the necessary steps to reach a bilateral ceasefire and a permanent peace can only be realised if he is freed. On the other hand there can be no solution to the Kurdish question in Turkey without the direct and active involvement and willing participation of the international community. Ending the isolation and ensuring the freedom of Mr. Abdullah Öcalan will not only strengthen the democratic peace process, but will also consolidate the fight against ISIS, which is the common aim of the international community and the Kurds.